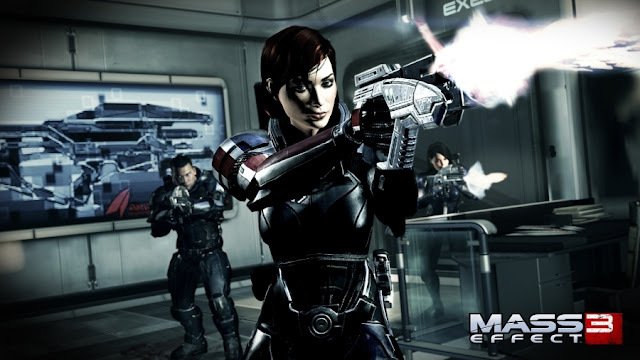 "On one hand, we knew where things were going so we could build these huge story arcs in the first one, and even in the second one, that would get resolved in the third game," said Casey Hudson, executive producer of the "Mass Effect" series. "At the same time, we were able to be pretty flexible in developing it mechanically so that as we started to really like certain story arcs and characters, we could build those in more and let players get more enjoyment out of playing." New players are quickly brought up to speed through some introductory missions and different dialogue from experienced characters. But Hudson said new players shouldn't feel like they are missing out on anything. "The fact that it is a third story means that's where you get to decide the fate of entire civilizations because we know this is the third of three." "If you are coming in as a new player, those plot lines are established, but you also get to make the biggest decisions in them. For existing players, it's mind-blowing that they've gotten to know people and characters from a given species that they can choose to wipe out in 'Mass Effect 3.' "
"That was the real fun of developing 'Mass Effect 3.' This is the beginning of all the biggest things you get to do in the 'Mass Effect' series, and then everything comes to an end that you define as a player." "The team was really pushing to put little bits of fun even in the final days. (The game) ended up being bigger than what we thought it would be," Hudson said. "Whether you are a really passionate fan about the fiction or you're fairly casual about it or you're new to it, it should be a great story for everybody. We tried to build it as a story regardless of how familiar you are with the 'Mass Effect' universe."